Oviedo Citizens in Action (OCIA) at the Oviedo School in Oviedo, Florida, around 1969. 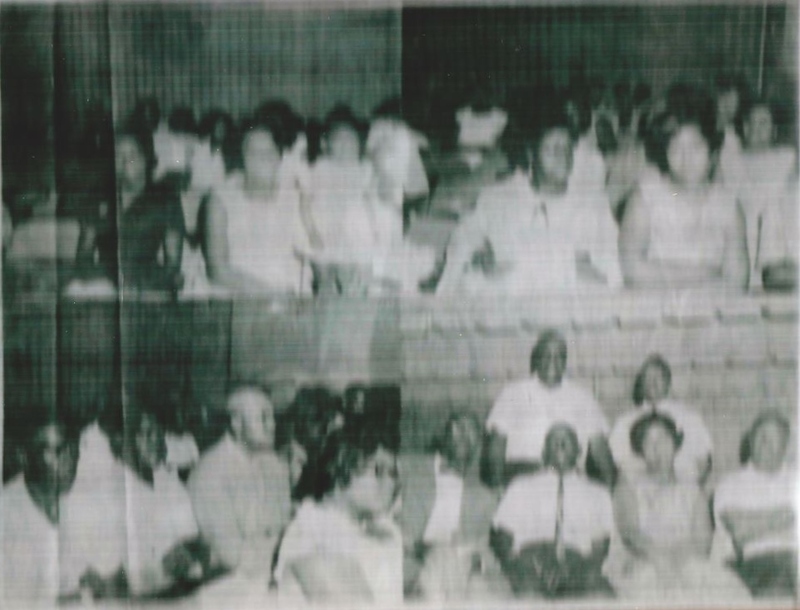 OCIA is a community organization that fought for equal and civil rights within the Greater Oviedo area. The group helped to desegregate a number of local businesses, including a barbershop, through non-violent protest. 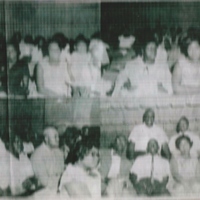 Although the OCIA is a predominantly African-American organization, the organization also includes members of all races. The still organizes today and is lead by President Danny McKinney, as of 2015. Original newspaper photograph: The Sanford Herald: Private Collection of Ida Boston. Digital reproduction of original newspaper photograph: The Sanford Herald. Horner, Desta. "Oviedo and Jim Crow." Issues and Voices that Matter. http://cmfmedia.org/2013/07/oviedo-and-jim-crow/. “Oviedo Citizens in Action.” RICHES of Central Florida accessed April 23, 2019, https://richesmi.cah.ucf.edu/omeka/items/show/5254.